The America Invents Act (AIA) provided the mechanism for three types of proceedings that give defendants the opportunity to challenge a patent after it has been issued via trial-like proceedings before the Patent Trial and Appellate Board (PTAB). The inter partes review allows for a challenge to patentability on the basis of a prior art. The post grant review allow for a challenge to patentability based on any claims that can be made under any ground that could be raised under § 282(b)(2) or (3). The transitional business program allows for a post grant challenge on a covered business method patent. 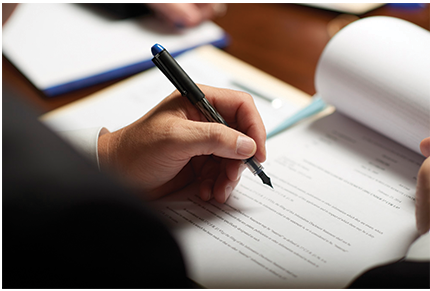 Ference & Associates works with clients to utilize these popular methods of review, as they provide a method of challenging patentability that is less costly and has a lower burden of proof than litigating in the courts. As the law continues to develop in this area, the Ference team continues to stay on the leading edge of post grant proceedings.